From sugar ants to the carpenter ant pictured here, we treat them all! There are many different types of ants in the Pacific Northwest and each of them are unique. As such, each different type of ant needs to be treated in its own unique way. Our specialists are trained to know the difference and how to treat every ant species. The sooner you start treatment the better. When you start to see a few ants in your home, there are many more in the walls where you cant see! The longer you wait, the harder it is to rid your home of these pests. So call us as soon as you notice a problem. Home Remedies: chili powders, cinnamon, and over the counter sprays wont work on these guys. It will only make things worse and cause the colony to split into two. Now you have more problems! Ant infestations usually require a professional, but here are some things that will help prevent issues and minimize growth. 1. Trim all bushes and trees away from the house by 2 feet. Plants and trees create inviting places for them to live and when they are close to the house or touching the house, it makes easy access for them to invade. 2. Remove any and all moisture problems in the home. Like all living things on the planet, ants need water to thrive. When there is a leak in the roof or walls or bad or missing caulking behind the kitchen sink, your ant problem will increase fast. Do your best to find and stop the moisture issues. Rodents are nocturnal creatures and are very opportunistic. Mice only need an opening the size of a dime to get in to your home and rats need a hole the size of a quarter. Rodents are capable of having 3-7 babies every 3-4 weeks. If you do the math, this is exponential growth! They pose many problems, but the most significant are health related. They carry diseases and viruses that are harmful to humans and bacteria from their droppings can spread through the air into the living space of your home. They also love to chew on wires and water lines and could cause severe damage to your home. There are many more detail we could include about rodents, but we will stop there. 1. Exclusion: We search your home to find the entry points that your fury friends are using to get in. Once we have found all the areas they are using to access the inside of the home we will develop a plan to fix them to keep more rodents from getting in. 2. Catching and Eliminating: We are going to strategically place traps in the areas needed and that is most effective to catch what is still inside the home: crawl spaces, attics, garages and near entry points and harborage sights. Once we determine the problem is solved after several checks, we focus on prevention. 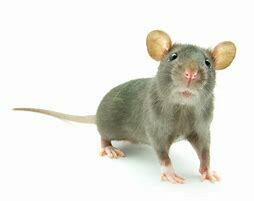 Nearby rodents can smell their friends old residence and will be attracted to the home. Your specialist will continue to inspect and monitor for new entry points in your home and place bait stations around the home to keep any new rodents from finding or creating a way in. 3. Sanitizing and Clean-Up: Depending on the severity of your problem sanitizing services will vary. It could be as simple as spraying a disinfectant in the crawl space, attic, and duct systems, all the way up to a full crawl space restoration. Our specialists will inspect and identify the needs of your home and suggest steps to take and cost effective options. They will also inspect for other damage caused by rodents such as broken and chewed up HVAC duct lines, to sewer or plumbing problems. 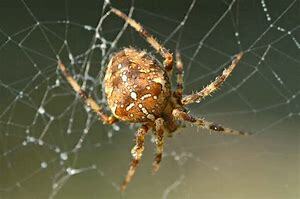 Eight leg and eight eyes, spiders are a common pest for almost every home. All spiders are scary, but some more than others. One of the most common is the Giant House Spider. The Giant House Spider looks nearly identical to the Hobo Spider. While Hobo spiders are poisonous, the Giant House Spider is not. They get their name for a reason. They can become very big in the fall when fully grown, getting up to the size of a tennis ball in total diameter. Black Widows and Brown Recluse spiders are very rare in Oregon. If they are spotted here, they are usually moved here with your family from a state where they are common. 1. Sticky traps in the home and garage: We place sticky boards to catch them when they come into the house and place them where they travel. 2. Web and nest removal: On the outside of your home we remove webs and nest to discourage harborage and eliminate more spiders from hatching. 3. Conducive Conditions: Bushes, trees, and clutter around the home will attract spiders to live near your home and help them to enter. We recommend to keep trees, bushes and yard debris in check to minimize these eight legged creatures. 4. Exclusion: We look for places where spiders can easily sneak in. Front door sweeps, garage door weather stripping and window screens are all susceptible if they are damaged or missing. We can make a plan to help you fix them and to help keep spiders where they belong! Box Elder Beetles and Stink Bugs have become one of the most common nuisance pest we deal with here in the pacific northwest. They swarm heavily in spring and fall when they are looking to sun bathe most commonly on the siding of homes. They sneak into our homes and overwinter inside the walls and attic to keep warm. 1. Caulk and seal around the windows, soffit vents, and any siding gaps. 2. Window screens will help reduce the numbers that enter the home. Make sure they are not just installed, but are the proper fit. 3. Treatment. Although these steps help keep them out of the home, these guys can flatten themselves out and sneak into very small openings. They can also become over welling when they start swarming your home. Many times, customers us to help control them when they overwhelm their house.